Halfway through the Wild Horses Tour and it’s been an amazing journey so far. 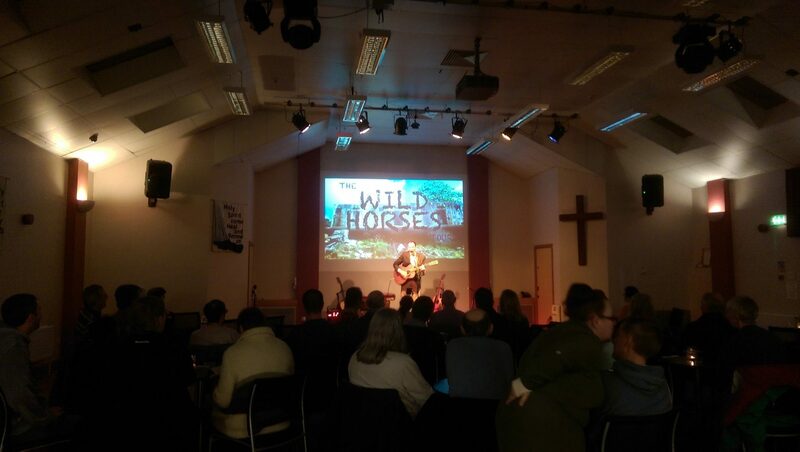 Nottingham, Glasgow, Bathgate, Stirling, Killin, Saltcoats, Coventry and Reading – all brilliant nights with fantastic people so thanks for coming along, supporting the tour, laughing, crying, clapping and singing at the right times. As normal, I make the night up as I go and there’s been a theme on this tour – “love is bigger”. I wrote a new song a couple of nights into the tour and while I was in Scotland, spent a few days in the studio working on the next album. Love Is Bigger has been a fun song to play but with everything that’s been going on in the world, love is bigger seems a needed response. Between us we’re raising a good bit of money for Global Care’s shack schools on the Syria/Lebanon border which is brilliant so thank you! Next gig is Pontefract then Princes Risborough, Cambridge and Billericay. Check the gig guide and if you’re nearby get along to a show.